One of the highlights of the street food traditions of the South, are the many drinks that are on the menu – from traditional ones to more modern innovations. Sharjah Shake: Inspired, no doubt, by the exodus to the Gulf, milk bars in Calicut and Cochin began to serve these some years ago. The Sharjah Shake is a milkshake with banana, ice cream and malt powder. Now there are variations that include dry fruits, nuts and honey. Dubai Shakes and Abu Dhabi shakes have also made there appearance. 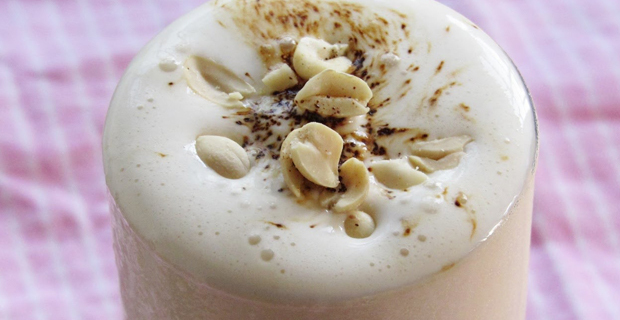 Jigarthanda: This sweet cooler comes from the temple town of Madurai. An edible tree resin is used in this drink which is most parts condensed milk and ice cream. So, you can drink it as a dessert as well. 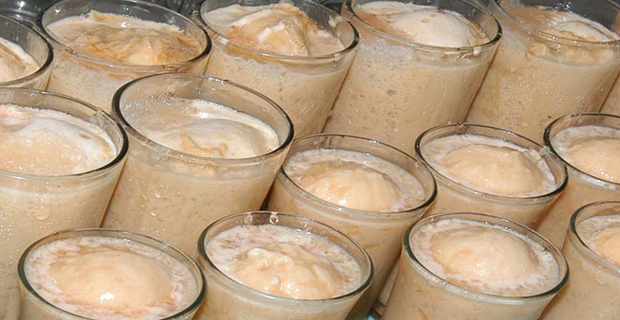 Famous Jigarthanda in Madurai claims to be the inventor of the drink. Elaneer Sherbet: Tender coconut is a great drink in hot weather. The Elaneer Sarbat makers turn it into an even more delicious drink. Tender coconut water is poured into a glass, slivers of the coconut are added and a dash of sherbet syrup. Drunk cool, it’s perfect for a summer day. Nannari Sherbet: This drink is made from nannari or Indian sarsaparilla. The root is turned into a syrup with sugar. This is then added to water with a squeeze of lime and your drink is ready. Nannari is supposed to have medicinal and cooling properties. 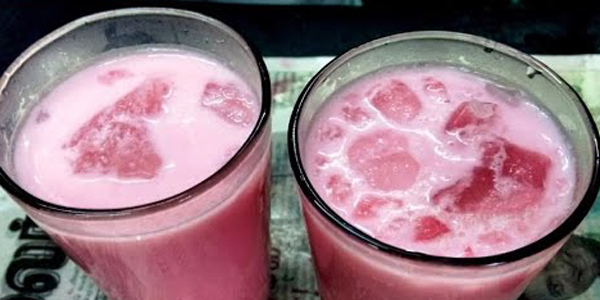 Rose Milk: No place loves this pink-tinted drink as much as South India. Rose syrup is added to chilled milk and a sweet cooler is ready. You’ll find it idli-dosa joints in cities and highway restaurants alike.